At BP's massive Thunder Horse oil platform in the U.S. Gulf of Mexico, a dog-sized robot called Maggie uses magnetic tracks to creep along pipes connecting the giant oil facility to the sea floor. Before MaggHD, dubbed "Maggie" by BP, the dangerous inspection job was reserved for highly paid specialist technicians who did their jobs while rappelling along the platform. The energy industry has turned to robots and drones to cut costs and improve safety in some of the world's tougher working environments. Drones inspect gear high up on floating rigs. Robots crawl underwater to test subsea equipment for microscopic metal cracks. 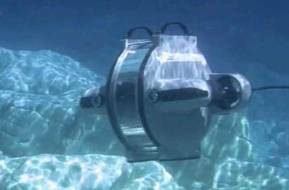 Remotely operated mini submarines can replace divers. Big oil producers such as BP and Statoil are racing to create the oilfields of the future, where smart devices replace workers. They have the potential to cut costs, save lives, and reduce the scope for human error. "This is going to change the way oil and gas does business," Carri Lockhart, senior vice president of offshore at Statoil USA, said in an interview earlier this year, referring to the push towards autonomous gear and facilities. Maggie belongs to a group of devices known as magnetic crawlers, which can move across rigs, platforms, and pipelines above and below water using ultrasonic test devices and high-definition cameras. They can cost $60,000 apiece. 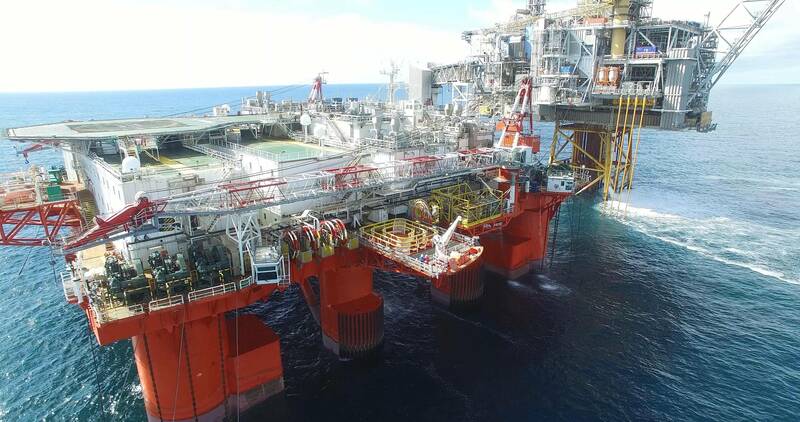 BP, the largest operator in the U.S. Gulf of Mexico, piloted Maggie on its Thunder Horse platform last year and expects to roll out similar crawlers across all its Gulf of Mexico platforms in coming years. BP's 2010 Deepwater Horizon rig explosion in the Gulf of Mexico, which killed 11 people and was the largest accidental release of oil into U.S. marine waters, underscored the dangers of offshore work. BP wants the robots "to remove individuals from being in unsafe environments. The efficiencies we gain by collecting data this way are significant. The safety factor is obvious," said Dave Truch, a technology director in BP's Digital Innovation Organization. Drones and crawlers can do inspections in about half the time of rope access technicians, while placing fewer workers in harm's way, executives at BP said this week. Other gadgets can reduce the need for shutdowns, which are sometimes necessary for safe inspection of equipment by humans. Drones can conduct inspections of flaring equipment, which burn off dangerous gases at oil and gas production facilities, without requiring a shutdown. Those shutdowns could last anywhere from five to 20 days, said Iain Gault, a business development manager at Stork, an energy maintenance unit of Fluor Corp. "We still can't do the physical work with a drone or crawler, but the efficiency is gained by only putting people in the field when needed," said Gault, who started his career in oil and gas as a rope access technician, rappelling along the sides of oil structures in the North Sea, nearly 30 years ago. The technology can be a "hard sell," because of the high upfront cost, he added, estimating crawler rentals run between $600 to $1,000 per day, excluding the cost of an operating technician. Hiring technicians for drones is even more costly because they require pilot's licenses, he added. Companies that provide the inspection specialists for offshore equipment say they are not worried about losing out to robots and gadgets. "It is not a threat to jobs, but they change. We have to adapt," said Ryan King, a technical sales representative for Oceaneering International, an offshore services and equipment provider. "We're at a point now where big data is helping optimize inspection programs, so we don't have to send guys into the field," King said. Drones and crawlers may be a stepping stone. Norwegian oil producer Statoil is eying an unmanned, remotely operated production concept. Noble Drilling and General Electric Co this year launched a partnership to produce a fully digitized drilling vessel, work the companies said paves the way for an autonomous drilling fleet. "We have the technology. It's just a matter of getting these projects executed. We're not there yet on unmanned platforms for deepwater, but it's coming," said Statoil's Lockhart.